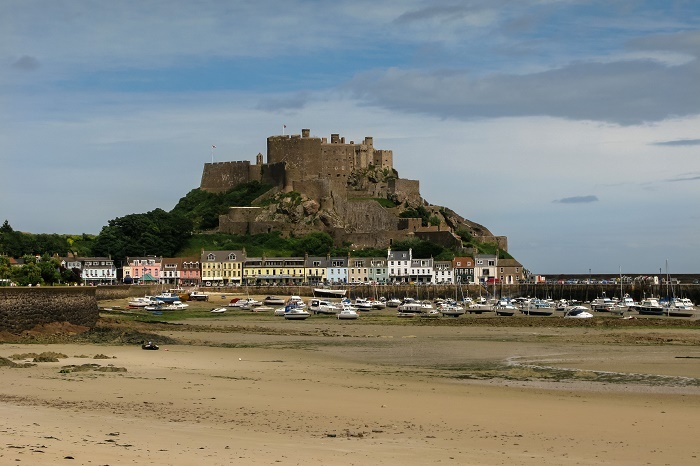 Mont Orgueil Castle is a castle that overlooks the harbour of Gorey on the Crown dependency of United Kingdom island of Jersey in the La Manche Channel. 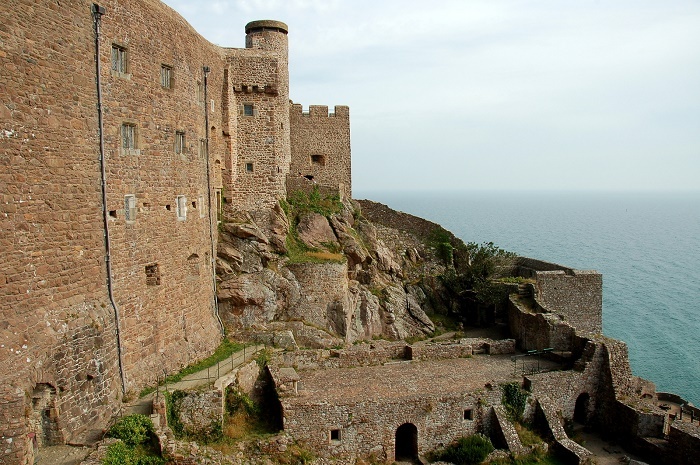 Mont Orgueil Castle is an exciting place, which had been fortified in the prehistoric period, but the construction of the castle was undertaken following the division of the Duchy of Normandy in 1204. When King Philippe Augustus invaded Normandy in the 13th century, King John of England ordered that money was raised to defend the islands. 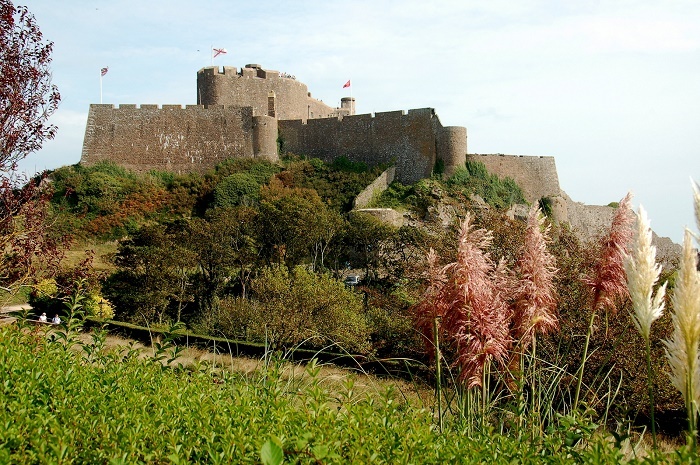 The castle was built at Mont Orgueil because of the prime position of the site, where cliffs and sea protected the castle on three sides. Also,the granite that the castle was built on meant that it was virtually impossible to undermine. 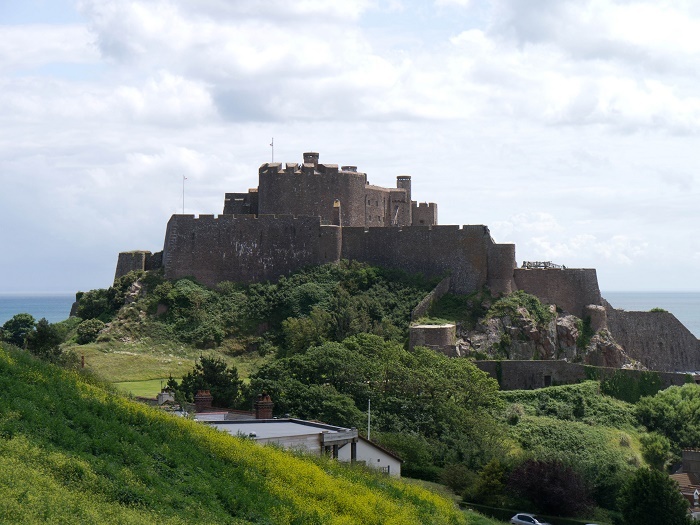 The castle was the primary defense of Jersey until the development of gunpowder which then rendered the castle ultimately indefensible from Mont Saint Nicholas, the adjacent hill which overlooks the castle. 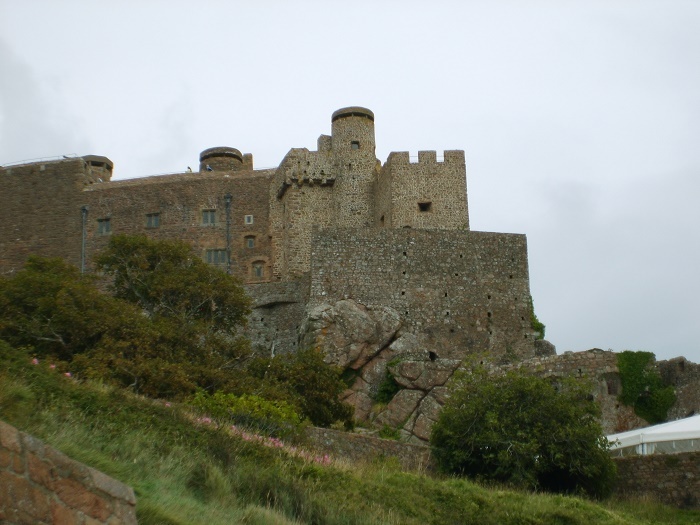 Mont Orgueil was updated with platforms for artillery constructed in 1548 and 1549 under the direction of Henry Cornish, Lieutenant of the Earl of Hertford in Jersey. Cornish complained that earlier repairs to the donjon by Robert Raymont had left it so weak it was vulnerable to musket shot. In 1543 he had asked for a “saker” cannon that would cover the sands between “Grovyll” and the castle, where the French had landed in the past. 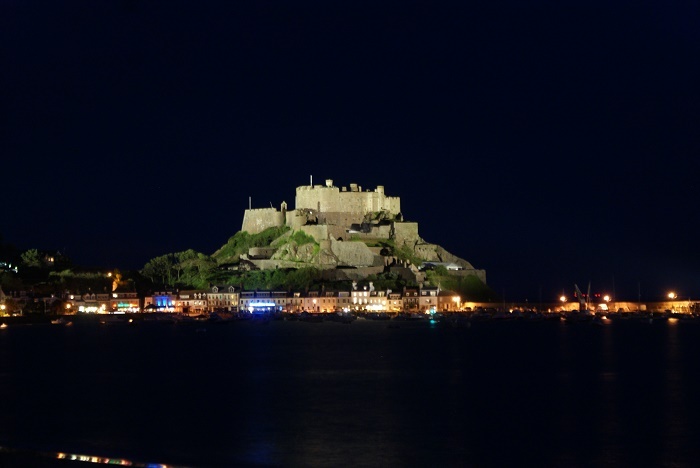 Mont Orgueil was to be superseded by Elizabeth Castle off Saint Helier, the construction of which commenced at the end of the 16th century. Walter Raleigh, Governor of Jersey in 1600, rejected a plan to demolish the old castle to recycle the stone for the new fortifications. The old castle continued to be used as the island’s only prison until the construction of a prison in St. Helier at the end of the 17th century. 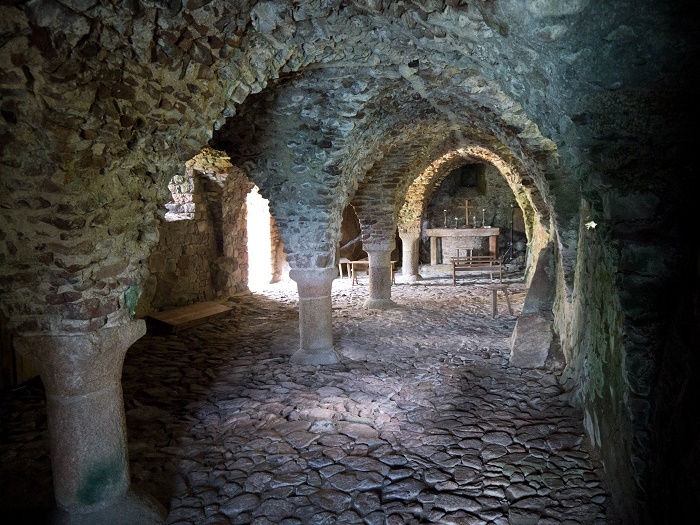 But in 1691 it was found impossible to place someone to live in the castle, where reparations started in 1730 and were carried out for four years. 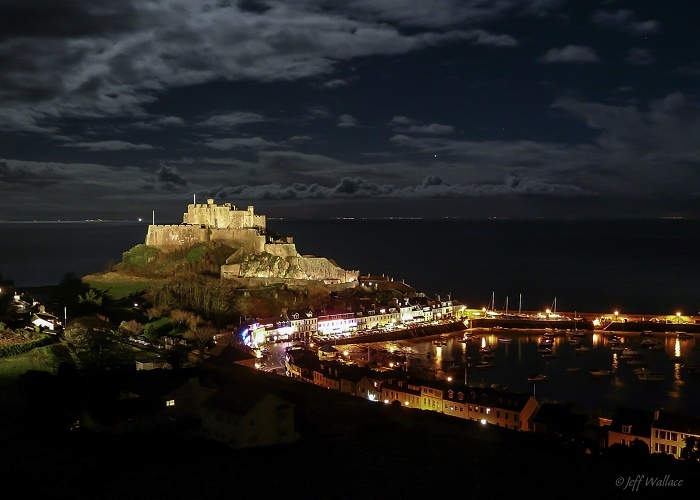 Until the second half of the 19th century, the castle was open to the public on one day a year, Easter Monday, and crowds used to flock from all over the island. This is believed to be a survival of the pre-Reformation custom of visiting St. George’s Chapel inside the castle on St. George’s Day. 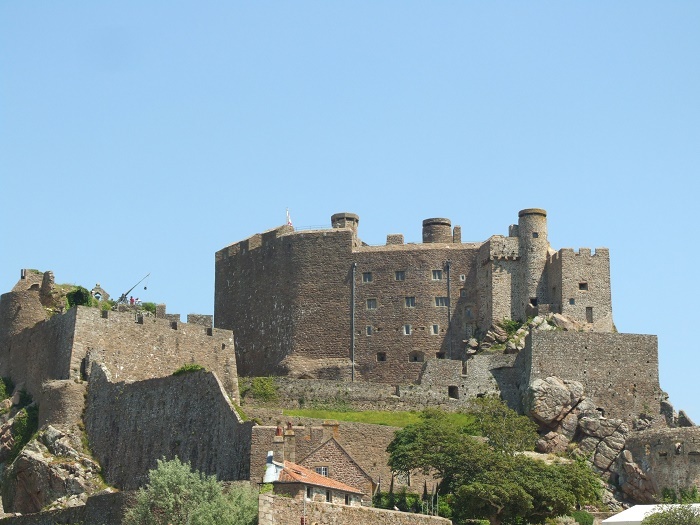 In a generally ruinous state at the time of its handover to the people of Jersey by the Crown on 28 June 1907, Mont Orgueil has been managed as a museum site since 1929, although during the Second World War German occupation (1940–1945), the occupying forces garrisoned the castle and added modern fortifications camouflaged to blend in with existing structures. 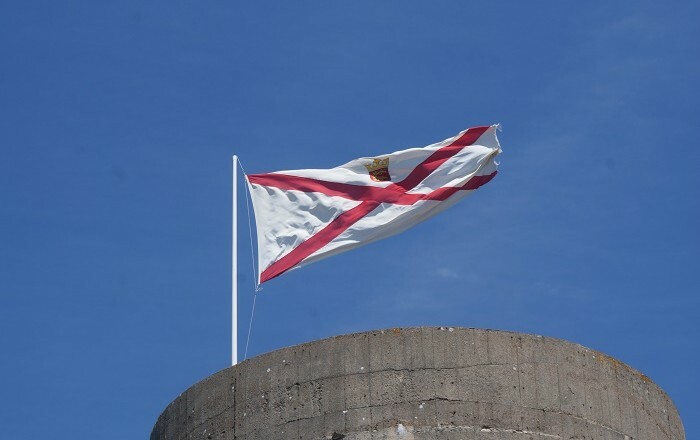 Today the castle has been managed by the Jersey Heritage site since 1994. It is one of the most important landmarks of the island and many people who go there visit it all the time.